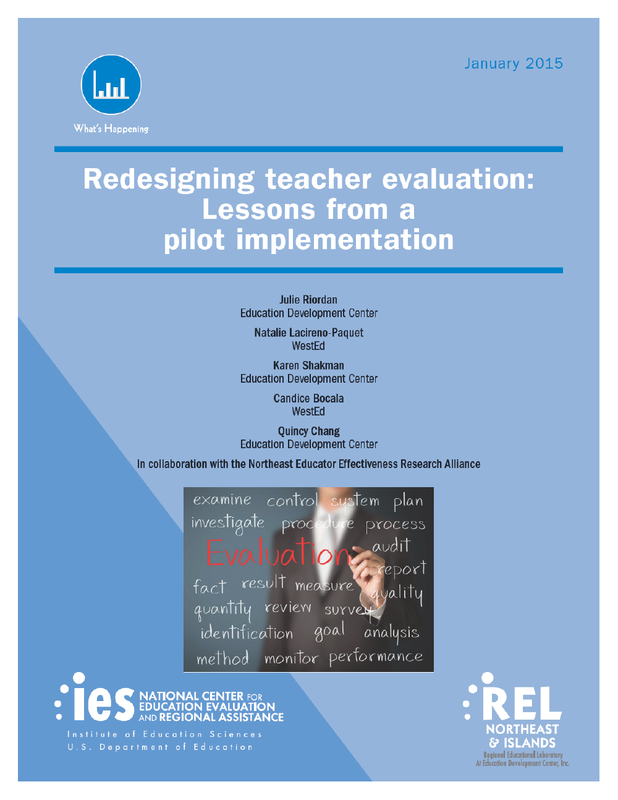 In a massive effort to overhaul teacher evaluation methods, nearly two thirds of states have made changes to their teacher evaluation policies since 2009. Many states now require annual teacher evaluations, often based on the results of multiple measures of performance. 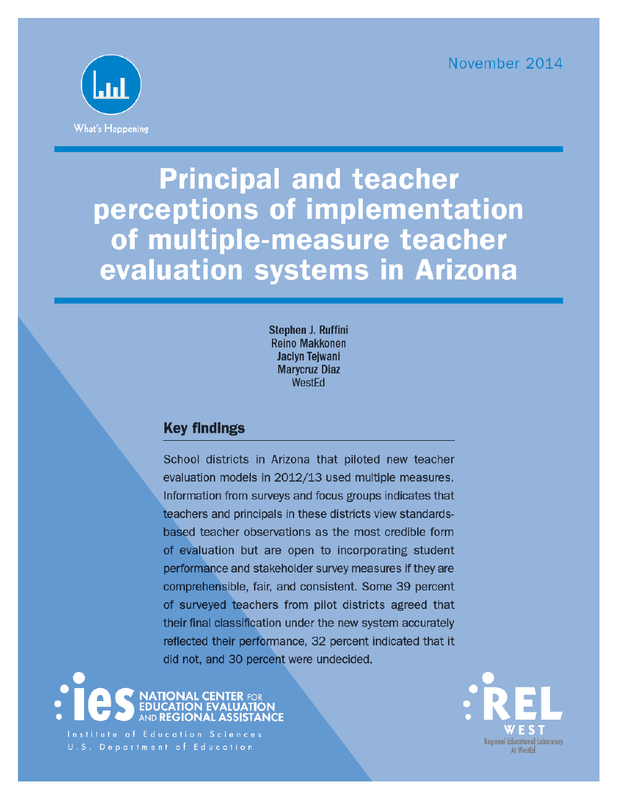 A collaboration between the Regional Educational Laboratory West at WestEd (REL West) and the Arizona Department of Education, this descriptive study explores how new teacher evaluation systems were implemented in 10 volunteer school districts in Arizona following a shift in state policy. WestEd’s Stephen Ruffini, Reino Makkonen, Jaclyn Tejwani, and Marycruz Diaz wrote the report. 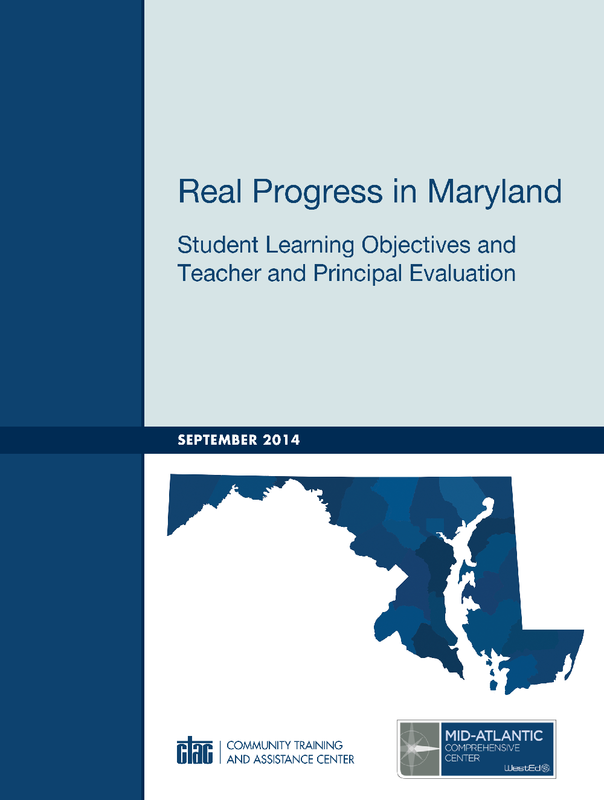 This report examines educators’ overall perceptions of Maryland’s teacher and principle evaluation (TPE) system and key issues in its implementation, including quality, consistency, and school, district, and state support.